"Joy of Sudoku" quilt pattern is fat quarter friendly. It uses 10 fat quarters plus the sashing and borders. New and expert quilter's alike will enjoy the experience of putting together this Sudoku quilt. A Sudoku puzzle and answer sheet is included. 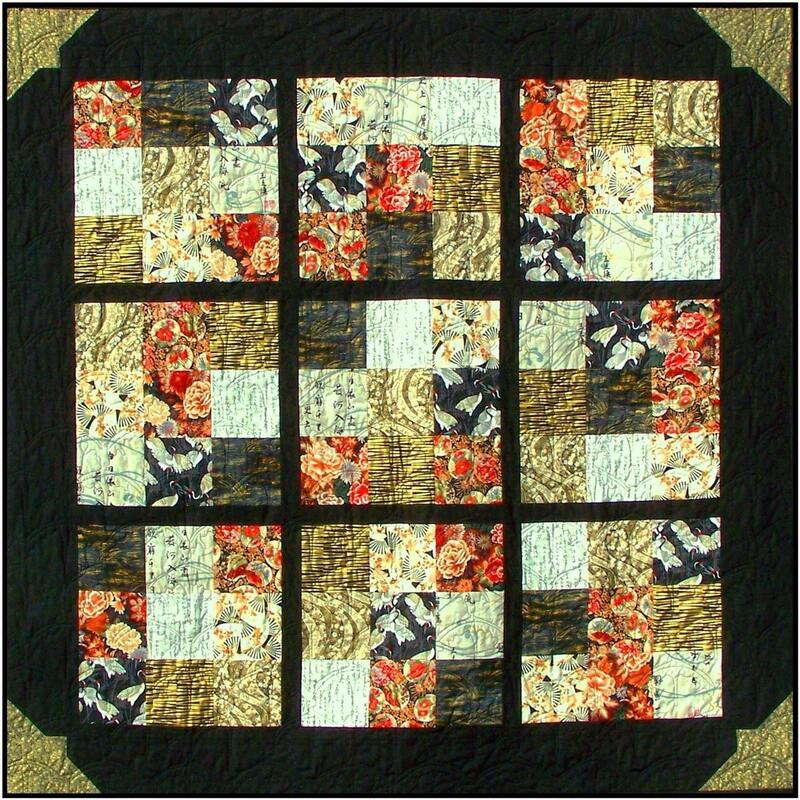 The finished quilt measures approximately 59" square. Also shown in lovely fall fabrics. This listing is for a printable download digital e-pattern. The pattern will be made available for you to download and print shortly after your payment is complete. No paper pattern will be shipped in the mail. If you'd rather order this in a paper pattern instead of a PDF, please feel free to e-mail me. I'll be happy to set up a personal Etsy listing just for you. Let me know you saw it here! Loved this just what I was looking for. Yes was able to download and print straight away. Wholesale inquiries are welcomed. Please contact me for a wholesale order form at joy@beejoyfulquilts.com, subject: "wholesale order".